Albuquerque, NM, USA, and Daesan, Korea. 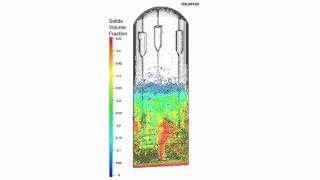 CPFD Software LLC, the creators of the Barracuda® simulation package for particle-fluid systems, today announced their first commercial client in Korea. Samsung Total Petrochemicals (STC) has agreed to license CPFD Software’s Barracuda package for modeling processes for polyolefin manufacturing and related applications. 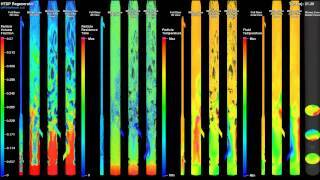 Barracuda is used by major oil & gas, chemical, petrochemical, and power equipment manufacturers for simulating, understanding, and optimizing the operation of fluidized systems. Common applications are FCC (fluidized catalytic cracking) reactors and regenerators, fluidized bed reactors (FBRs) for chemical manufacturing, CFB (circulating fluidized bed) boilers in coal-fired power plants, both coal and biomass gasifiers and chemical looping combustion (CLC) units, and fluidized bed reactors for polysilicon production (both TCS hydrogenation reactors and silicon deposition reactors). CPFD Software has only recently entered the market in Korea, which has one of the largest and most dynamic economies in Asia. Korea is expected to be is a very promising market for Barracuda, which has applications in several key industries, particularly in refining and petrochemicals. Other commercial companies, including other divisions of Samsung, are already evaluating Barracuda as well. Total S.A. (Solaize, France) is already a licensee. About Samsung Total Petrochemicals: Samsung Total Petrochemicals is a joint venture between Samsung General Chemicals and the Total Group (France). STC operates a large petrochemical complex, consisting of 13 separate plants, at Daesan, in Korea’s Chungnam Province. Output ranges from olefins to polyolefins (polypropylene, polyethylene, etc. ), base petrochemicals (styrene monomer, etc. 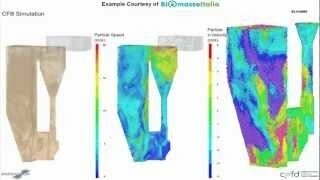 ), byproduct fuels, solvents and other downstream petrochemicals used in everyday life. 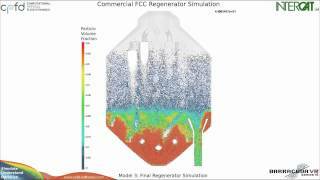 About CPFD Software: CPFD Software LLC is an Albuquerque-based company specializing in solving particle-gas and particle-liquid problems for the power, oil & gas, petrochemical, and chemical industries. 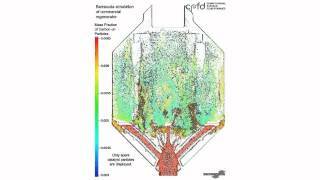 Their Barracuda® software provides accurate simulations of lab-scale, pilot plant, and full-scale reacting bed flows with full thermodynamics and chemistry.